Just as I thought it was officially safe to talk about spring trends the beast from the east is set to grace us with it’s presence again. But to be honest, I feel like I speak for all of us when I say that I’m so fed up of shopping for cold weather and I need to inject a bit of spring fashion into my wardrobe. All of these trends can 100% be worn now in different ways then carried through and styled differently in spring, spring trends for all seasons if you will! So I didn’t really think about the number when I planned this video. If anyone knows me you’ll know I am a super OCD freak when it comes to numbers so the fact that I ended up with 9 spring trends to talk about kind of gives me issues. Why couldn’t I have just added an extra and rounded it up to 10?! Anyway, what will be will be, here are 9 of my favourite trends right now in patterns, materials, styles and products that I will 100% be wearing through spring. And guess what, I just thought of number 10. Skinny glasses. 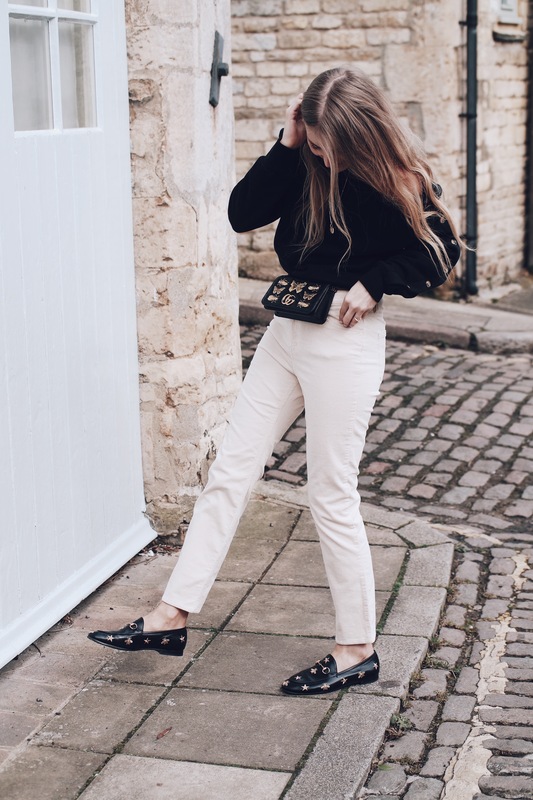 I’ve done a little round up of my favourite pieces on the high street and online for all price points with a little blurb about why I love the trend but to see my style the trends up and for more about why I’m loving it, scroll to the bottom of the post where you’ll find a video from yours truely! Cher Horowitz eat your heart out. When I say plaid I’m talking full out 90’s clueless vibes but of course there’s always different levels you can go for. 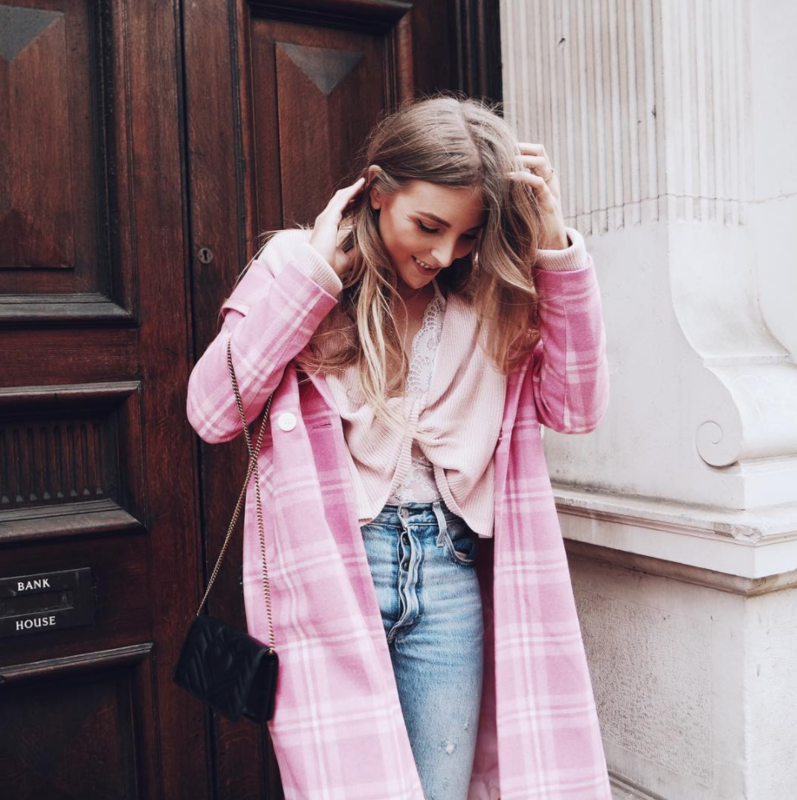 The coat I’m wearing in the main image is a perfect example it’s super cute and plaid, adds a pop of colour to your outfit and can be layered to be warm for right now, then worn through to spring, plus it’s currently on sale! Of course if you wanted to go full out Cher then you want to go for a little plaid skirt or pinafore and for extra points get a matching jacket! Clear shoes, clear bags and clear belts. Love this trend but I have to say that In my humble opinion, accessories are where it starts and ends. I’m also like, totally not into this trend in shoes because one, my toes are gross and two, I just don’t like it, I can see it now, condensation. Bags though, bags I am totally here for. Colour is officially here guys. In every colour, at the same time, together. Last summer was all about white, blue and minimalism (for me anyway) this summer? I’m going in. Super excited for pretty two pieces, dresses and even rainbow knits for right now. I’ve been wearing my fave two mini bags my Gucci and my Chloe as un official bum bags for a while now but I finally got a genuine bum bag in the form of this red beauty which makes the perfect colour clash! Basically if you want a bag that is on trend this season, get any bag you want, and wear it as a bum bag. Suits, skirt sets, pinafores and jackets, double denim, basically if your outfit co-ordinates then you’re on trend. One of my fave spring trends and another Cher Horowitz approved style is wearing co-ords. Revolve are killing the two piece game right now, super cute for summer! Comfort is key. 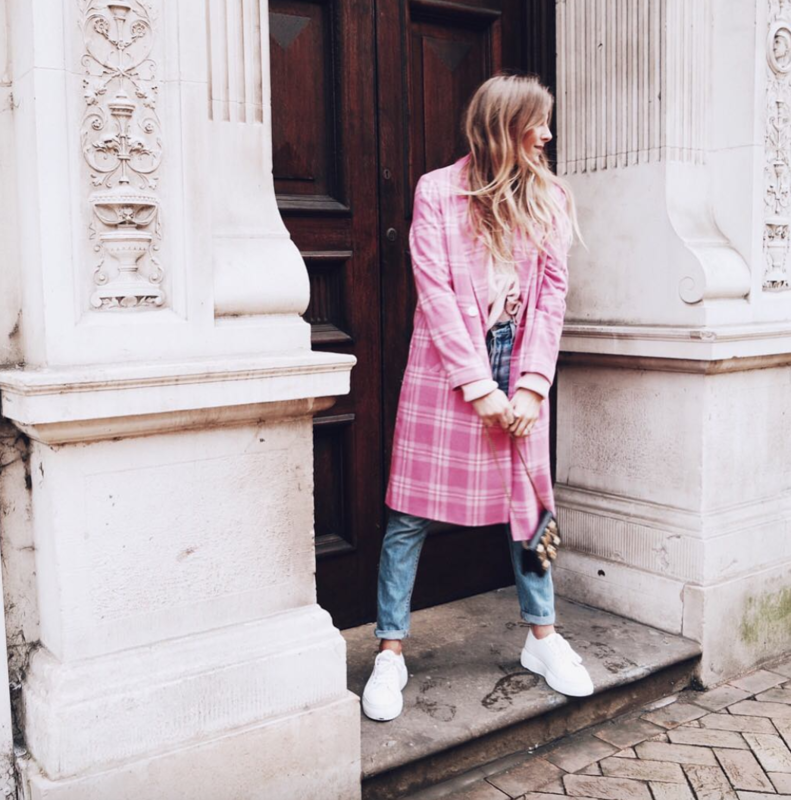 Luxe loungewear with a sassy coat and ugly trainers are the way forward. The just rolled out of bed look is so hot right now and I am all for that. Like who doesn’t love a trend with this little effort?! Not really sure about this one. I know it’s so hot right nowThe Chloe Susanna boots and for sure I’ll be eating my words in 6 months time when I’m in knee high boots with spurs and all, but right now I’m going in small and steady with the boots I actually already own and are super classic. , major cowboy vibes but also super boho and summery anyway so you’ll still be wearing them when everyone else’s cowboy boots are gathering dust at the back of their wardrobes. The fugliest colour that OAP’s love am I right? Well I was right 2 years ago but this once hated shade seems to have wormed it’s way into my wardrobe and heart, hell I even did a blog post only wearing purple here!! The uglier the better when it comes to trainers. I for one am loving this trend not just for the look of them but they are pretty damn special in a, they’re so ugly they’re cute (kind of like the ugliest dog you know?) but mainly I’m here for the comfort. Loungewear, trainers, and bumbags, who knew the spring trends would be so comfy and practical right!? I’m so into so many of these! Love a bit of rainbow and of course I’m a total plaid girl! Ah you would look insane in the rainbow trend! I love seeing how you style things you make everything look so amazing! Loved this post and I love how you broke everything down as well and made this post so easily shoppable! Babe I will ALWAYS be a massive shopping enabler! I will try and do more posts like this!